← Is The ‘Southland’ Cast Up For A Kickstarter Movie? Who knew that we would actually miss crying every week? Parenthood’s fourth season has come to a close, but thankfully the Braverman’s can pick up where they left off (with some dancing, we hope!) when its fifth season returns to NBC this fall. 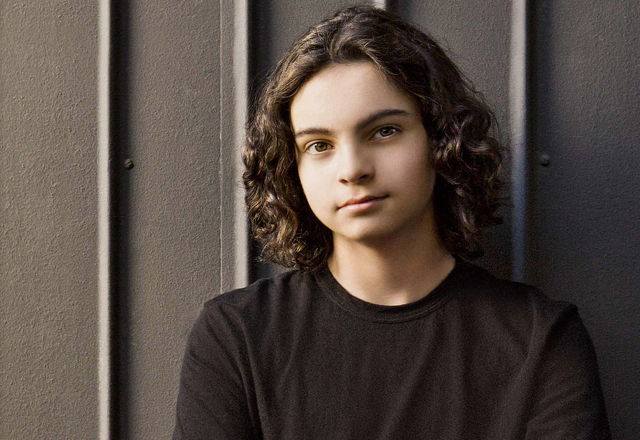 Max Burkholder has done a remarkable job portraying the son of Adam and Kristina who struggles with Asberger’s, and I recently chatted with the 15-year-old actor about the series that he’s basically grown up on. From favorite scenes to the most challenging, Max helped get us even more excited for the critically acclaimed series to return. He also totally agrees that stocking up on tissues is a must! What was it like hearing about the Parenthood pickup? Did the cast celebrate? MAX BURKHOLDER: We didn’t really get together. We all saw each other at the Television Academy Honors a week or two ago so that was where we really met and celebrated. Other than that, no I think we all just celebrated individually. What’s it been like to start off so young and basically grow up on the show? I think the main thing is that it’s gotten easier to play the character because in the beginning I didn’t know what I was getting into. Now I sort of found my groove I would say. Was your character originally named Max? It was Max already! That’s actually happened to me quite a bit—about seven or eight times. Actually once I did go in and the characters name wasn’t Max but the man who was playing my dad kept calling me Max during the scene so they eventually the director just said to change the name to Max. What’s been your favorite scene so far playing Max? That’s a tough one. I’d say all the scenes that I get to work with the animals. That’s a lot of fun for me. It’s not too difficult because they bring in wranglers but I love it. There are a lot of emotional scenes in the show. What has been the most challenging for you? The most challenging I’d say all of the scenes—like literally all of the scenes where Max has to betray something that is specific to someone with Asberger’s. Because I know I have to get it perfect or I will be misrepresenting the community. Did you research ahead of time for such a role? Yeah, I have done a lot of research and I just took everything from the Asberger’s community into account with what I was doing while I was developing Max as a character. I was sort of figuring out who he was. What scene made you laugh the most? That showering scene, for example, was absolutely hilarious. Yeah, I was going to say! That was pretty fun to shoot. [Laughs] It took a few shots because Peter [Krause], who was directing at the time, wanted to get my feet exactly right as I was walking out. He wanted to get it in the frame perfectly. What’s been your favorite table read? We don’t have table reads actually. That’s interesting! Is it because for the most part all of you just concentrate more on your individual family scenes? You and the cast must catch on how many tissues fans go through. Yeah, by the end of every episode there’s at least two hysterical crying moments! The writer’s know exactly what they’re doing. You are bracing yourself because you know that’s when it’s going to come! What did you consider the most emotional? I think the most emotional was the Kristina cancers scenes because everyone had one. There was Adam watching the video incase she died, there’s Max dancing with her, there was the hospital scene when everyone’s there. There were a lot of emotional scenes surrounded by that story line. Any Max story lines you would love to see in Season 5? I mean he doesn’t really branch out much out of his immediate family so I would just like to see him interact with Crosby and Zeek and guess more with Amber. He’s hung out with Drew in the first couple of seasons and I want to see that more. Maybe a possible girlfriend for Max? Adam and Kristina trying to handle that would be for a good story line. How Did ‘American Dreams’ Really End?